With blockchain and cryptocurrency technology trickling down into almost every industry, it comes as no surprise that the technology has also found its way to the music industry. 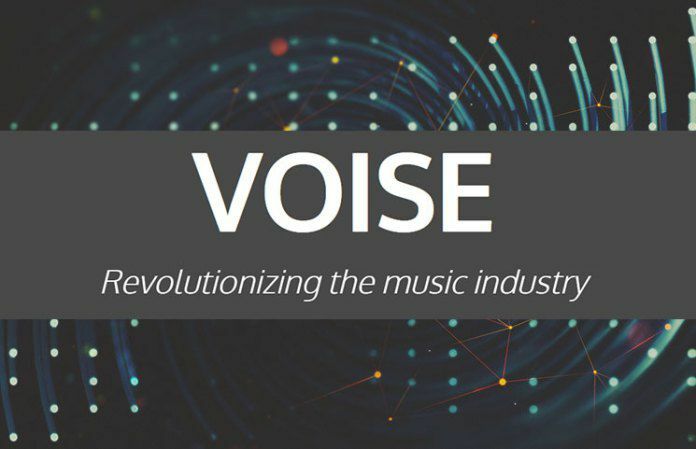 The platform aiming to introduce the technology in the music industry is VOISE. The blockchain based platform aims to employ the decentralized technology in order to reward independent artists, who get left behind when it comes to earnings under the current system. The platform will eliminate the role of middlemen and let the audiences directly discover, stream and download unique content created mainly by independent artists. The ethereum based platform will look like any other music platform and will sport a huge collection of tracks categorized according to release dates, genres, and albums. The ethical business model of VOISE will allow for 100% of the revenues on the platform to be distributed to the artists. Moreover, the VOISE platform will be anonymous and completely decentralized. The platform has already launched Voisium tokens (VSM) crowdsale as a part of its alpha stage plan for the development and release of a range of client software. The ICO started on May 6, 2017 at 02:00 GMT and will end on June 6, 2017 at 14:00 GMT. The ICO will run for one month. The funds raised through this ICO will be used for the development of the platform. The platform will be developed in the latter half of 2017 and will be made available for all major operating systems. VOISE ICO has set a cap of 100 million Voisium (VSM) tokens for the crowdsale, leaving room for price appreciation once the adoption increases. The VSM tokens based on ethereum smart contract technology are to ensure transparency in the ICO, and will only be issued to the Ethereum wallet sending the initial transaction. The VSM tokens will enable holders to purchase content on the platform and will also allow for peer to peer transfers and trading against other cryptocurrencies. There is even an early bird bonus of 25% for all the participants investing in the first 16 hours of the ICO. The platform plans to add a number of features to the platform with the funds raised through the crowdsale. One of the main feature will be the inclusion of fiat currency support (soon users will be able to pay with USD, EUR and GBP). The fiat support will be enabled through partnerships with exchange platforms.